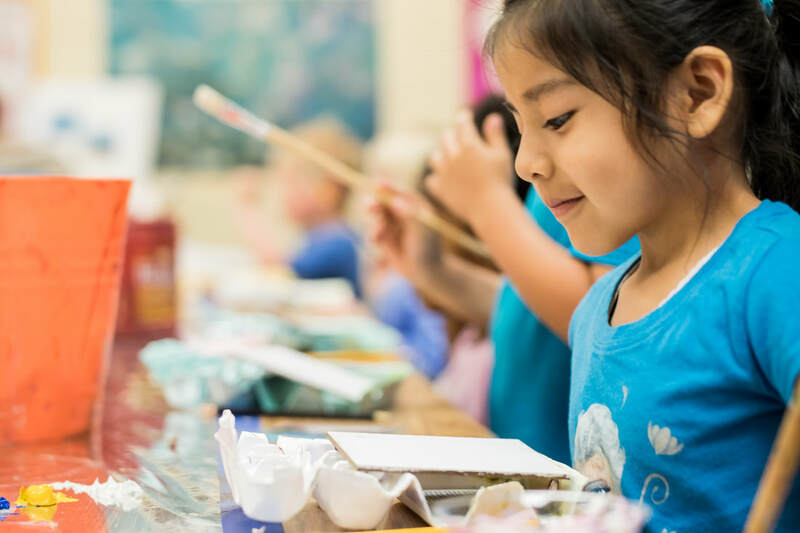 In October 2018, as a partnership between SC Arts Commission and Palmetto State Arts Education, the Gallup Student Poll was conducted in arts-rich schools throughout South Carolina (both at Arts in Basic Curriculum and Distinguished Arts Program sites). ​The online survey measures the engagement, hope, entrepreneurial aspiration and career and financial literacy of students in grades 5 through 12. The Gallup Student Poll helps educators provide a more positive school culture and measures hope for the future, engagement with school, and other factors that have been shown to drive students' grades, achievement scores, retention and future employment. ​For the first time in its history, the Gallup Student Poll is being used to look specifically at arts-rich schools. 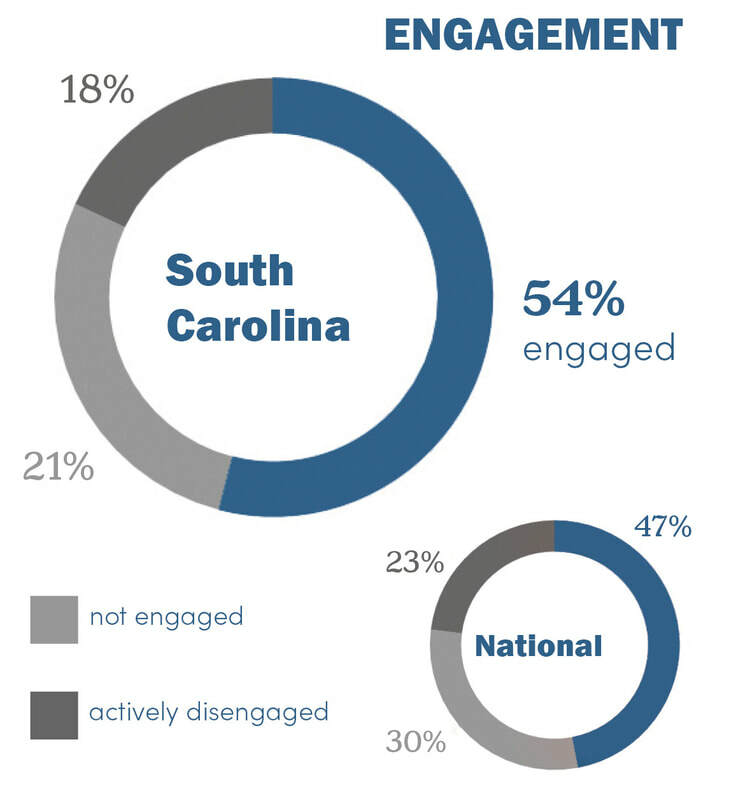 Thirty arts-rich schools across South Carolina participated, giving us an exciting opportunity to examine the connection between arts education and student engagement. Surveyed Americans believe that ENGAGEMENT & HOPE are the most critical elements that drive student success. ​more likely to say they get excellent grades than their actively disengaged peers. ​more likely to be more hopeful than their actively disengaged peers. ​more likely to strongly agree they do well in school than their actively disengaged peers. There is a direct correlation between the AMOUNT OF TIME AS AN ARTS-RICH SCHOOL and AN INCREASE IN STUDENT ENGAGEMENT AND HOPE. And most importantly, students surveyed in arts-rich schools with free/reduced lunch program participation of 75% or greater scored higher than the state and national mean on STUDENT ENGAGEMENT AND HOPE. 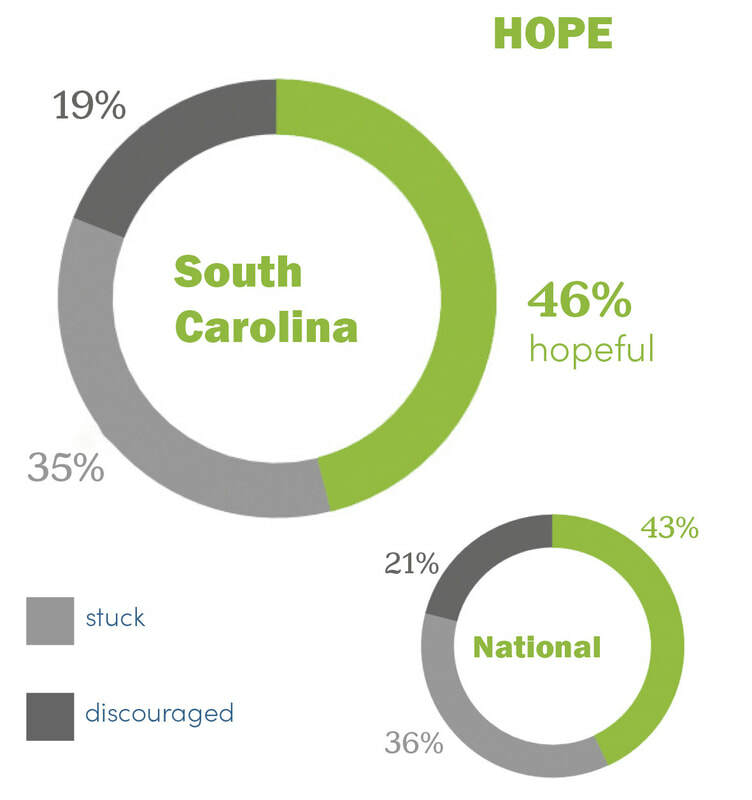 The South Carolina findings from the Gallup Student Poll reinforce what those in the arts already know. From creativity to problem solving, critical thinking to perseverance, learning in and through the arts supports students as engaged and hopeful citizens of the world. This information will inform requests for additional funding in the arts, arts advocacy, and the role of the arts in education reform. 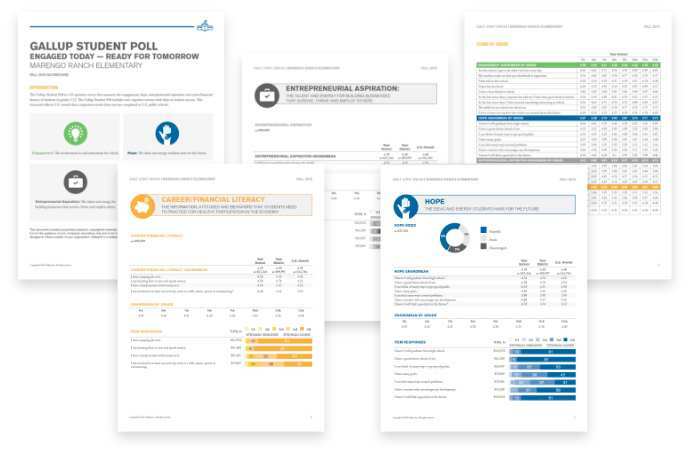 The PDF of the findings from the Gallup Student Poll can be downloaded and shared with community and education leaders, legislators, and educators. The SC Arts Commission is currently seeking new funding for community arts and arts education. Please take a moment to contact your legislators and encourage them to funds arts and arts education in South Carolina.